The experience of inviting raters has been re-designed to help users and administrators manage raters with complete flexibility and ease. Editing Raters – Rater information can now be edited by clicking into the field you want to edit a rater name, email, or rater relationship and pressing enter using the keyboard. One or more raters can also be edited by clicking on the tick box next to the raters you want to select and clicking on the ‘Edit’ button. Deleting Raters – A rater can now easily be deleted without any system restrictions by clicking on the tick box next to the rater or raters you want to select and clicking on the ‘Delete’ button. 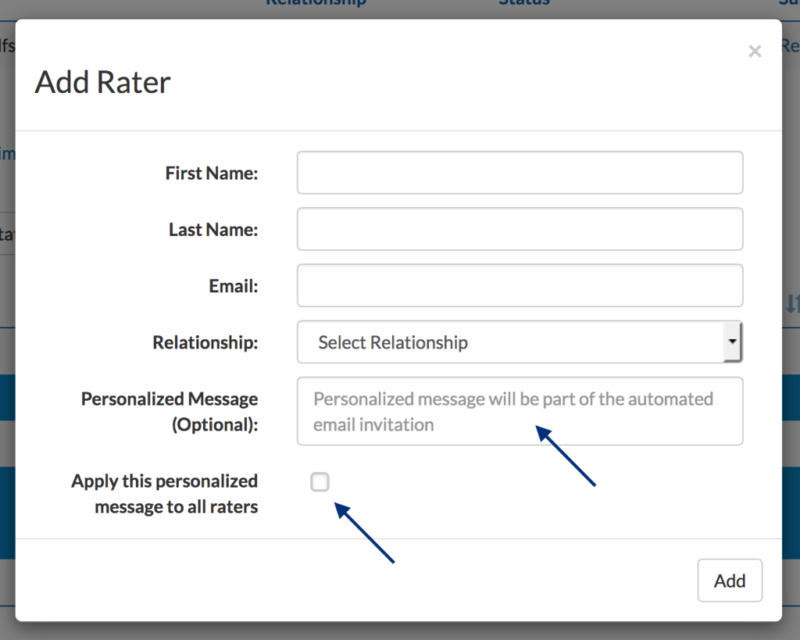 Adding a Personalized Message – When adding a new rater, a personalized message can now be applied to an individual rater. This personalized message will be part of the automated email invitation and can also be applied to all rater email invitations. Sorting – Rater information can now be sorted by date, name, email, rater relationship, status, message or email error. Re-setting a Self-Assessment – In case a self-assessment has been incorrectly completed, the user can now re-set the self-assessment to be taken again. Re-sending a Self-Assessment – In case the self-assessment email has not been received, the user or admin can now re-send the self-assessment email. 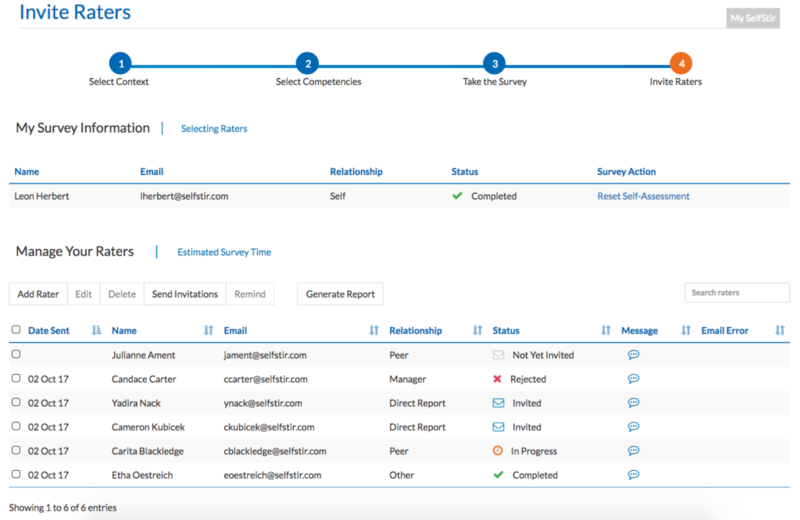 Generating a Report – The user and administrator now has complete control to generate the report and does not have to wait until the last rater completes the survey. Summary Overview – Before a report is generated, the system provides the user/admin with a complete summary overview of completed rater surveys including important information regarding the raters status of the surveys.